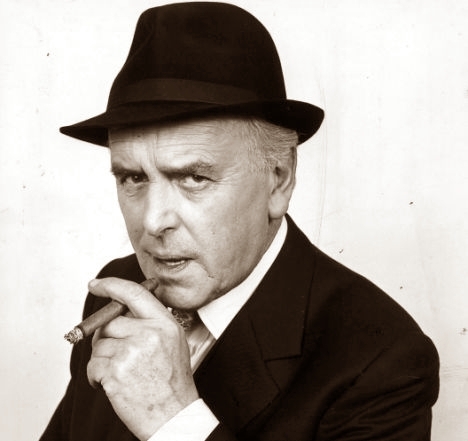 If you aren't at least in your mid-30s and from the UK or one of her Colonies, you probably have no idea who Arthur Daley (aka 'Arfur') is. He is, or was, the lovably roguish but eternally dodgy wheeler and dealer in the UK TV series 'Minder', from 1979-1994. Sadly, the archetype is not just a stereotype. Meet our own very real-life Arthur Daley, Mr. Patton. Not his real name. Patton's name has come up, and not just once, in conjunction with several stolen vehicle claims. Even though a current bankrupt, and owing various creditors over a million dollars (not to mention several fraud convicions) Patton has still managed to set himself up in business as - what else? - a used car salesman. Naturally, not in his own name. Some entreprising journalist learned of this and it made, admittedly small, headlines for a while. Patton has also been complicit in the disappearance of a classic vehicle belonging to an associate who he was supposedly selling it on behalf of. Well, he may have sold the vehicle (it was no longer on the lot) but there was no money forthcoming to my associate. Patton managed to drag this out for some months, making numerous promises and threats which, unbenknownst to him, were being recorded. Eventually my associate resorted to some extra-legal means and had a couple of heavies pay Patton a visit and engage with him in an earnest dialogue. While they got themselves arrested, the vehicle resurfaced the following day. I was involved, slightly, in this affair: I had been tasked with trying to locate the current whereabouts of the vehicle which, most likely, was in the possession of a well-known criminal 'kingpin'. The whole matter was resolved before I really got anywhere though. Anyway, as I had stated earlier, Patton's name came up in the case of several unrelated stolen vehicle claims as the claimants had purchased their vehicles recently from Patton. I went and interviewed Patton who, at face value, appeared affable enough. Dressed impeccably in green with his pork-pie hat, gold chains and watch, Patton certainly looks the part. You can take a Cockney Geezer out of London's East End but, at heart, he's still a wanker. While being interviewed, Patton laughingly told me about another vehicle that he'd sold that had been stolen. What Patton doesn't know is that we are compiling a file on him on behalf of the insurance company as they have a number of concerns. Also, we are liaising with the Police who have a number of their own. Seriously, would you buy a car from this man?